There are a number of fraud offenses that a person can be charged with in the Los Angeles area. 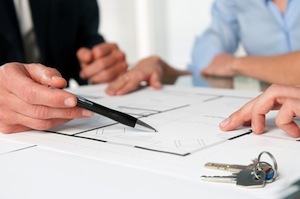 In recent years, real estate fraud has become increasingly common. Specifically, law enforcement agencies and prosecutors pay close attention to foreclosure fraud. There has been a significant increase in this offense since the collapse of the housing market. Going through home foreclosure can be a difficult and trying time for homeowners and their families. In recent years, there has been a growing number of people who claim to be “foreclosure consultants.” These consultants often promise to stop the foreclosure process upon payment of a fee. Under California Civil Code Section 2945 and California Civil Code Section 2945.4, it is illegal to solicit or represent to a homeowner that it is possible to prevent or delay a foreclosure in exchange for a fee in certain circumstances. These circumstances include collecting compensation prior to performing a service on behalf of a homeowner, charging excessive fees, taking a lien on the property as compensation, taking money from a third party without fully disclosing this to the homeowner, obtaining power of attorney from the homeowner or getting the homeowner to enter into an illegal contract. In the vast majority of cases, the foreclosure consultant is unable to provide any meaningful help to the homeowner and the home ends up being foreclosed upon. Foreclosure fraud is such a significant problem that California recently passed a law requiring all foreclosure consultants to register with the Department of Justice and to post a $100,000 bond. This ensures that if the consultant is ever convicted of foreclosure fraud, the consultant’s victims would at least be able to obtain some amount of restitution. Failure to register with the Department of Justice or failure to post the requisite bond could result in criminal charges. Those convicted could be sentenced to up to a year in jail and fines of up to $25,000 for each violation committed. There are a number of defenses that may apply to someone who has been charged with foreclosure fraud. It is important to remember that it is not illegal to act as a foreclosure consultant, as long as upfront fees are not charged and the defendant complies with statutory requirements. Foreclosure fraud requires that the defendant acted with a fraudulent intent. If the consultant had honest intentions and can show that he or she was taking meaningful steps to help the client but the property was still foreclosed, the defendant would have a strong argument in mitigation. Foreclosure fraud is a “wobbler” offense that can be charged as either a felony or a misdemeanor. When making a filing decision, a prosecutor will consider factors such as the amount of money involved, the number or victims, the defendant’s criminal record and any other facts relevant to the case. If charged with a felony, the defendant can be sentenced to serve up to three years in prison and a $10,000 fine. If charged as a misdemeanor, the defendant may be required to serve up to a year in jail and would have to pay court fines. Victim restitution would be required as part of any foreclosure fraud conviction. There are certain aggravating factors that can lead to additional jail time. If the amount taken from the victim was more than $65,000, the defendant can be sentenced to an additional one to four years on top of what is imposed on the underlying foreclosure fraud offense. If the loss amount was more than $100,000 and the defendant was convicted of two or more felonies for the same offense, he or she could be required to serve an additional five years in prison and a fine of either $500,000 or double the loss amount, whichever is more. If you are under investigation for foreclosure fraud, it is crucial that you speak with a Los Angeles Criminal Defense Attorney immediately. As a former Deputy District Attorney with over 14 years of prosecutorial experience, Los Angeles Criminal Defense Lawyer Michael Kraut understands how best to fight allegations of foreclosure fraud. Mr. Kraut formerly served in the elite Major Fraud Division of the District Attorney’s Office and is experienced in defending clients charged with white collar offenses such as this. For more information about Los Angeles foreclosure fraud, contact Los Angeles Criminal Defense Attorney Michael Kraut at the Kraut Law Group located at 6255 Sunset Boulevard, Suite 1480, Los Angeles, CA 90028. Mr. Kraut can be reached 24/7 at 888-334-6344 or 323-464-6453.